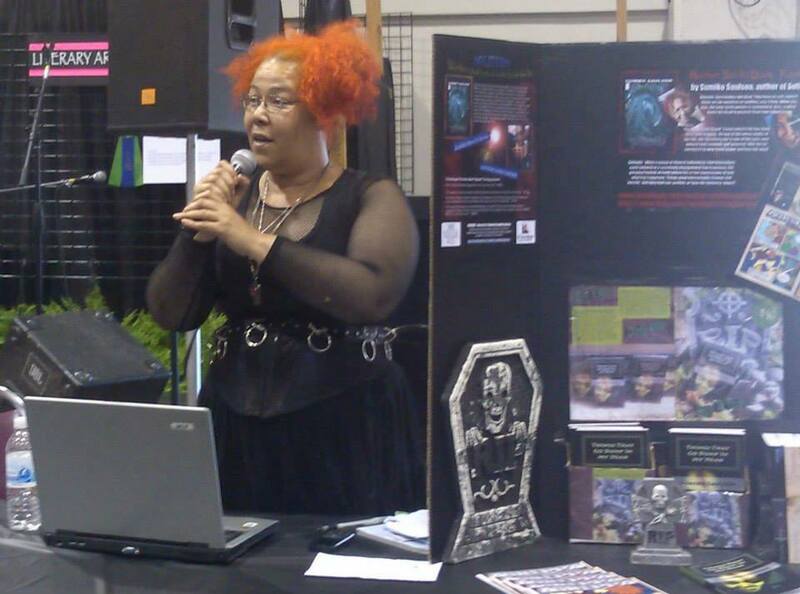 Me tabling at San Mateo Fair Author’s Day. I am really excited to announce that I will be tabling at Convolution: The Gates of Horn & Ivory: The Realms of Dream, which is taking place November 1 – 3 at the Hyatt Regency San Francisco Airport, in Burlingame, 1333 Bayshore Highway Burlingame, California, USA, 94010. I will be in the (brand spanking new) Publisher’s Alley, a special place for independent authors and small print publishers which is a part of a new Author & Artist Spotlight program at Convolution. I am especially excited because Wendy and Richard Pini of ElfQuest fame will be speaking there, and I am a huge fan of ElfQuest, so don’t be shocked if I end up busting out some ElfQuest cosplay at some point over the three days. It was always my intention to debut the sequel to “Solitude,” “Disillusionment,” at Con-Volution if I got a table there, and I have, so now I am back on track with that deadline. Speaking of “Disillusionment,” I won at Camp NaNoWriMo for getting up to 50k words on that; you will see the new icon on my page proudly announcing that. Also, you should see a countdown to Con-Volution. 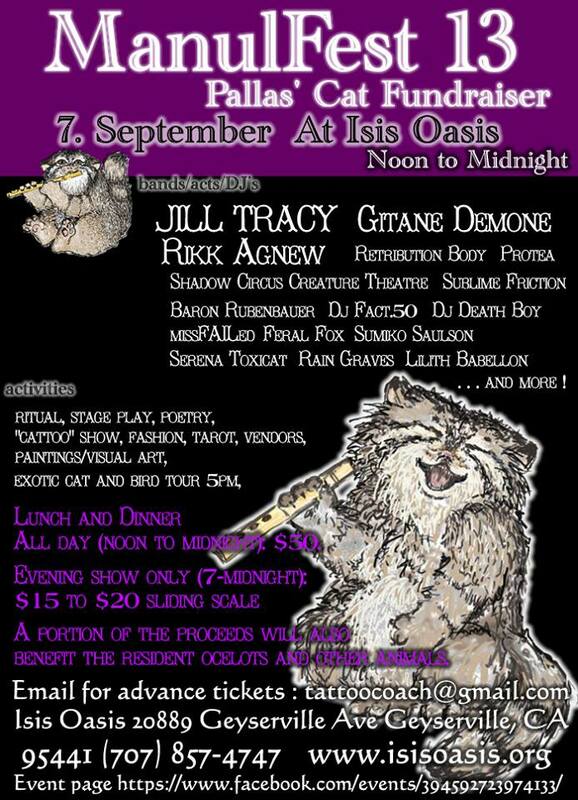 I will be reading from “Solitude” and signing at ManulFest, which is happening September 7, 2013 at Isis Oasis, 20889 Geyserville Ave., Geyserville, CA. 95441. Gitane Demone with Rikk Agnew, Jill Tracy, Protea, Sublime Friction, Shadow Circus Creature Theatre, Retribution Body, DJ Fact 50 & Deathboy, Rain Graves, Serena Toxicat, Baron Reubenbauer, plays, tarot readings, and vendors are just among some of the musical acts, writers, and other entertainment and festivities at ManulFest 2013. The 8th Annual “Day in the Park” with a live music stage, children’s activities, food, street vendors, and lots more! 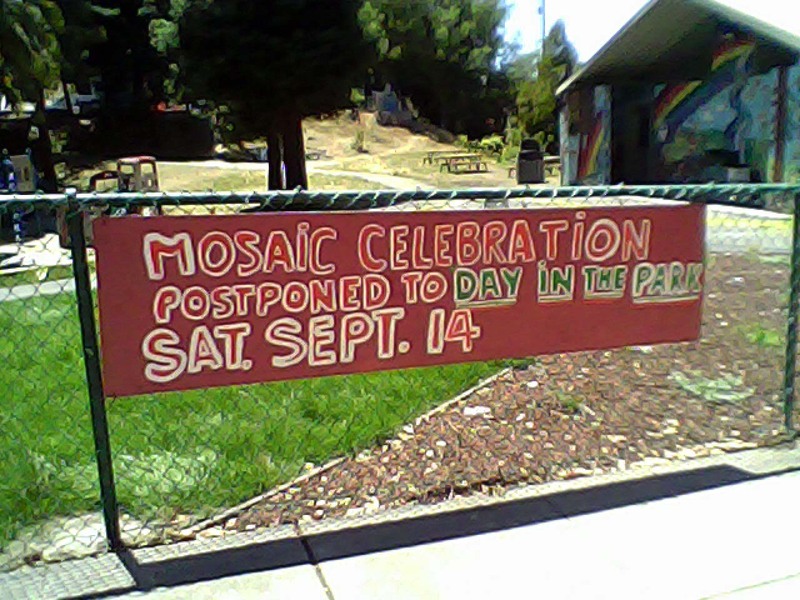 This takes place in Maxwell Park (the park itself, located between Fleming and Allendale, just past Monticello) in Oakland. I will be tabling there with my books, artwork, and sketching pictures for the kids (and adult) for a reasonable price. I hope to see you there. ~ by Sumiko Saulson on August 7, 2013.